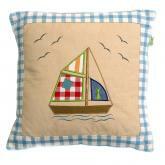 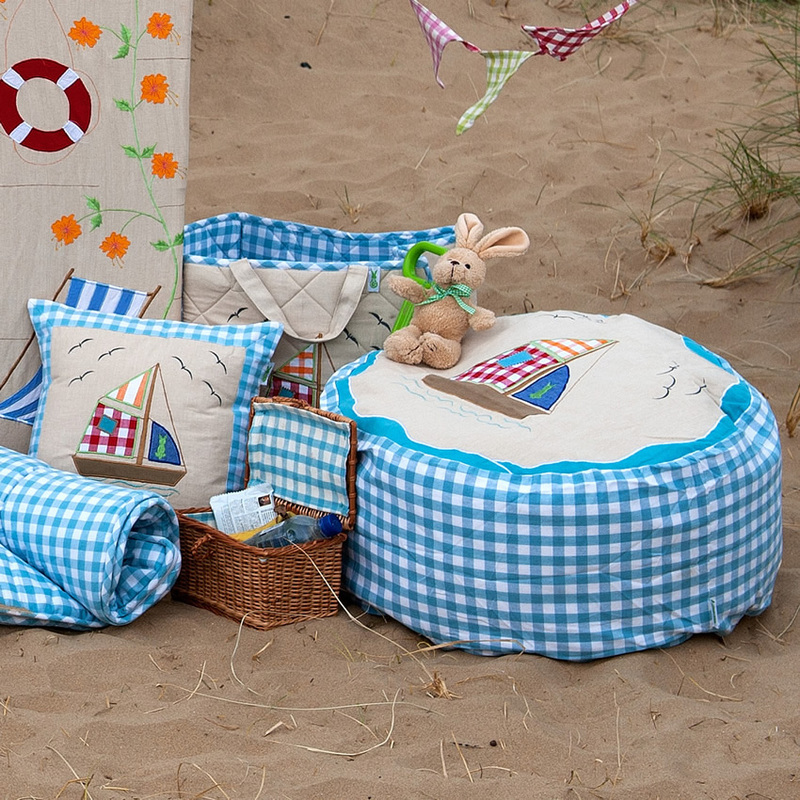 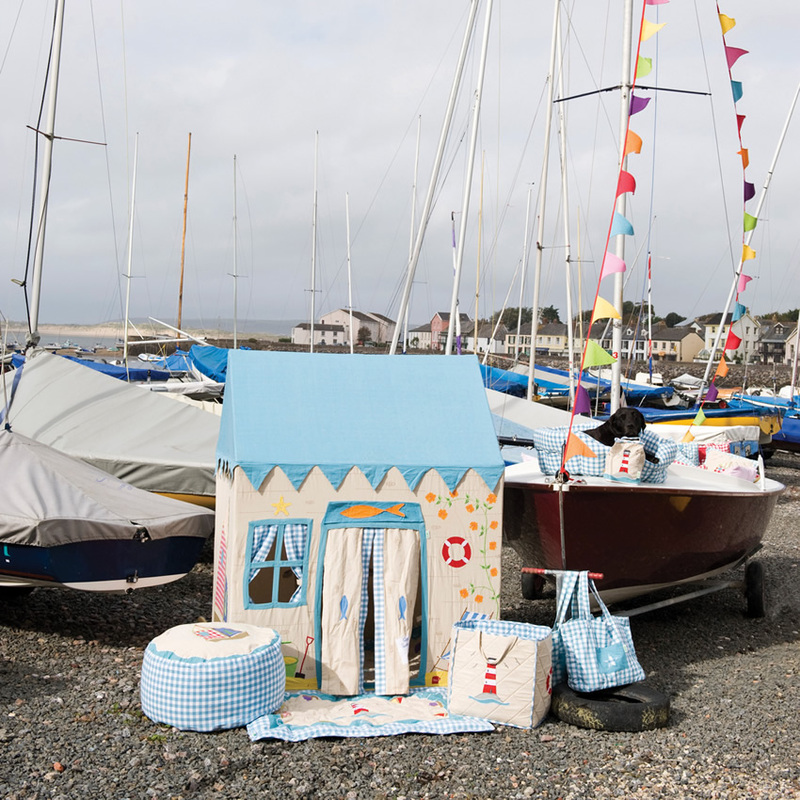 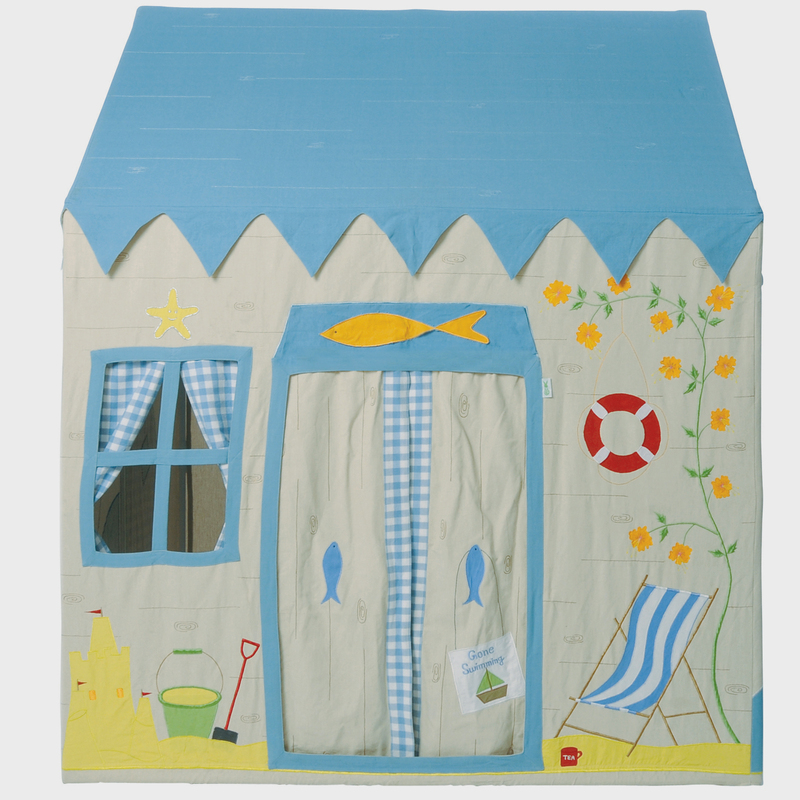 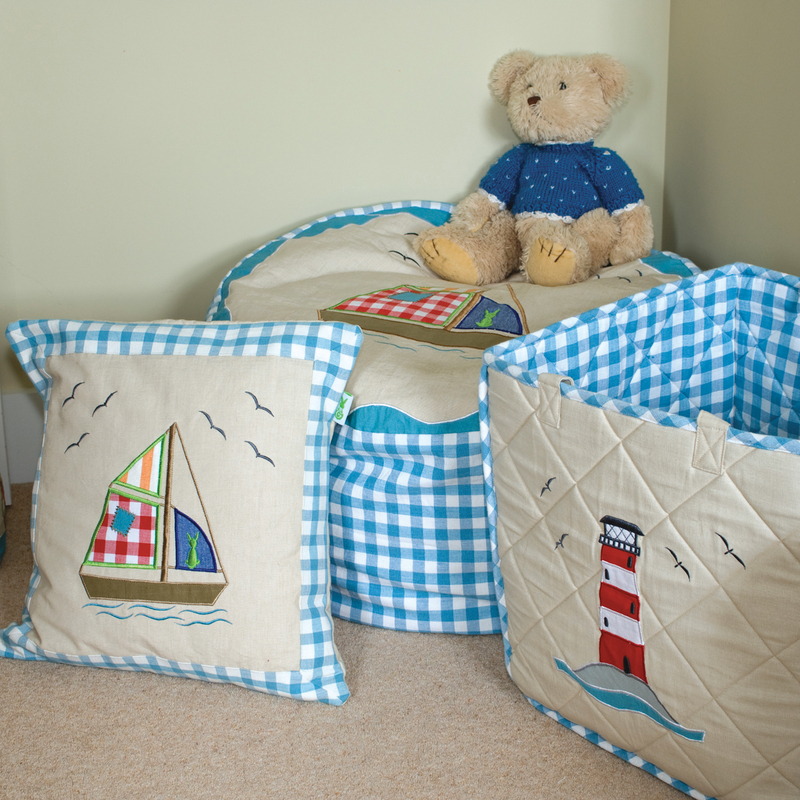 The appliqued Beach House Play Tent is the perfect centerpiece for any beach, sailing or ocean-inspired kid's room. 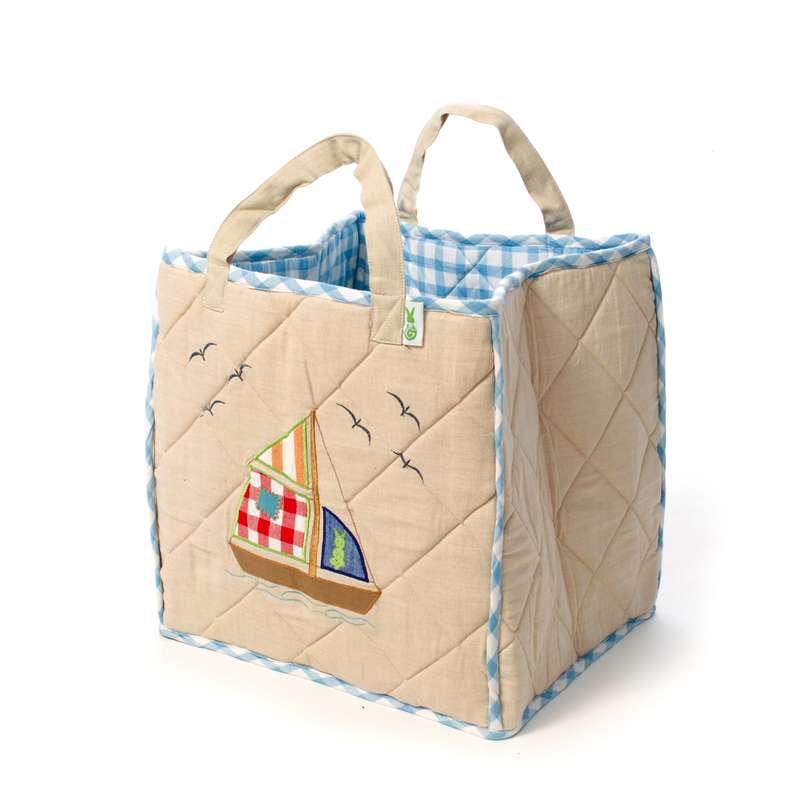 This quality play tent includes oversized appliques including a sailboat, sand castle, beach chair, and lighthouse. 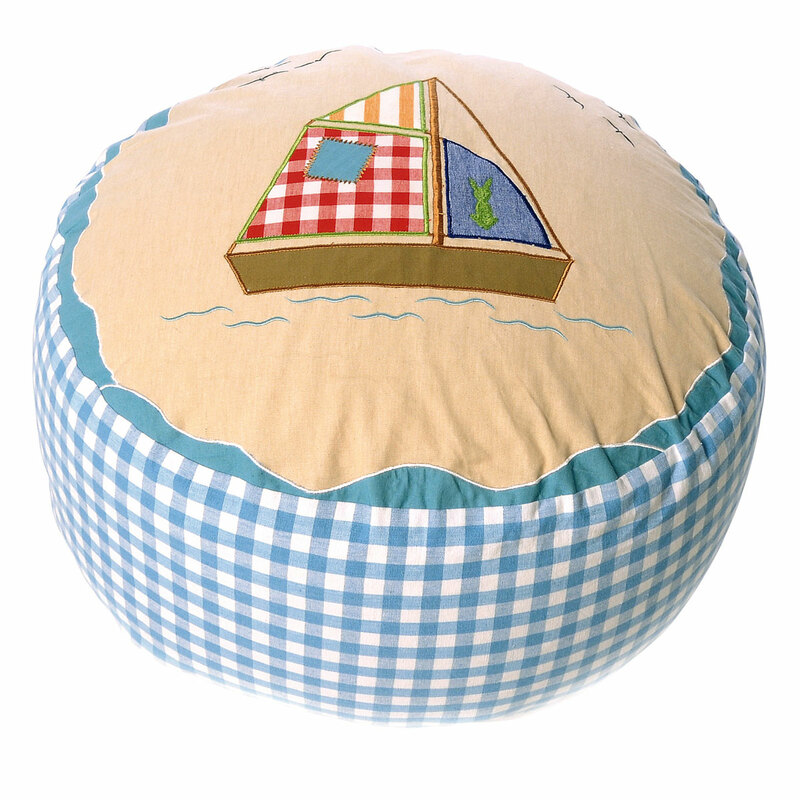 Any kid who loves the beach, sailing, or fishing will love this fun fabric tent. The gender-neutral design makes it a great choice for families with boys and girls. 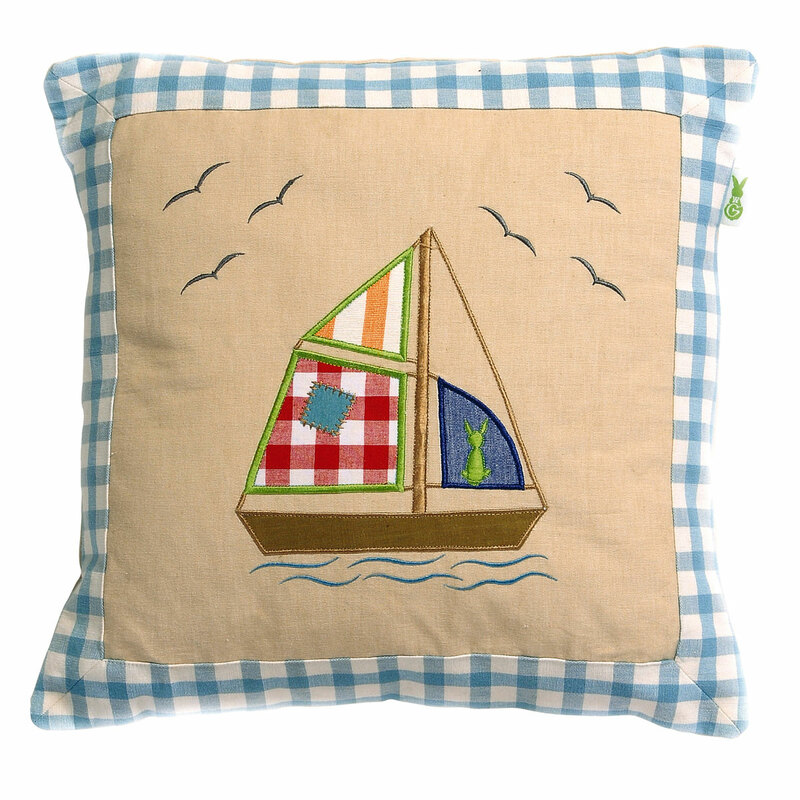 It's perfect for any gender-neutral play room. 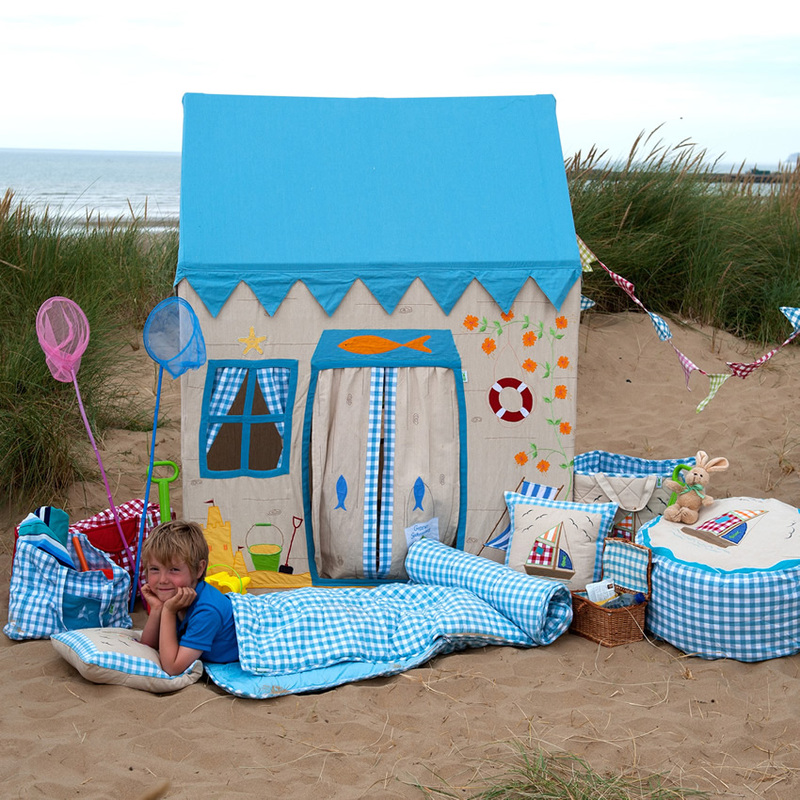 Your children will love looking out of the doorway and windows adorned with blue gingham curtains. 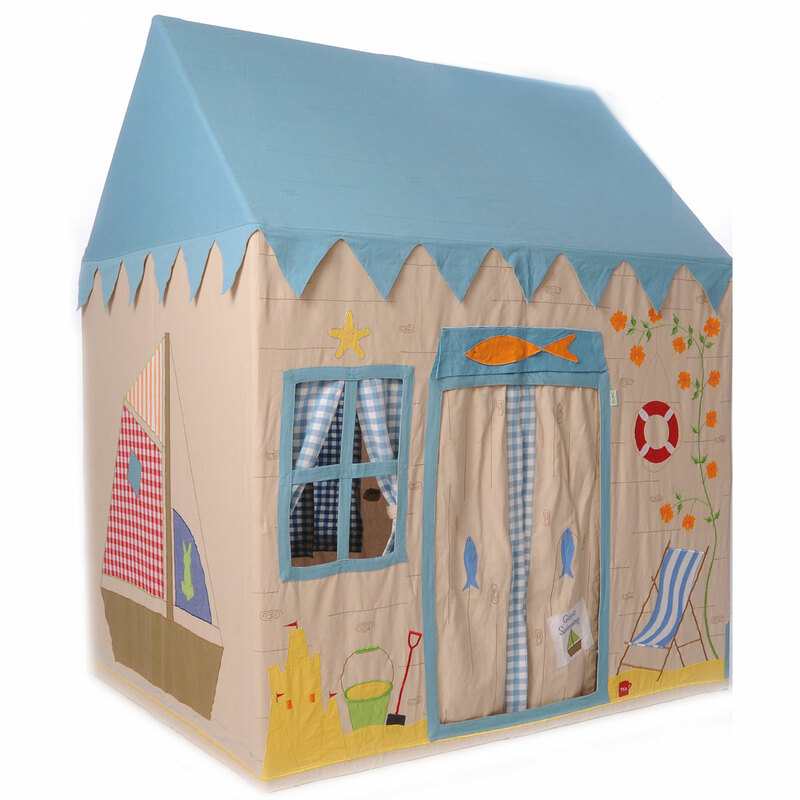 The warm ambiance of this indoor play tent makes it the perfect "retreat" for your sweet kid! 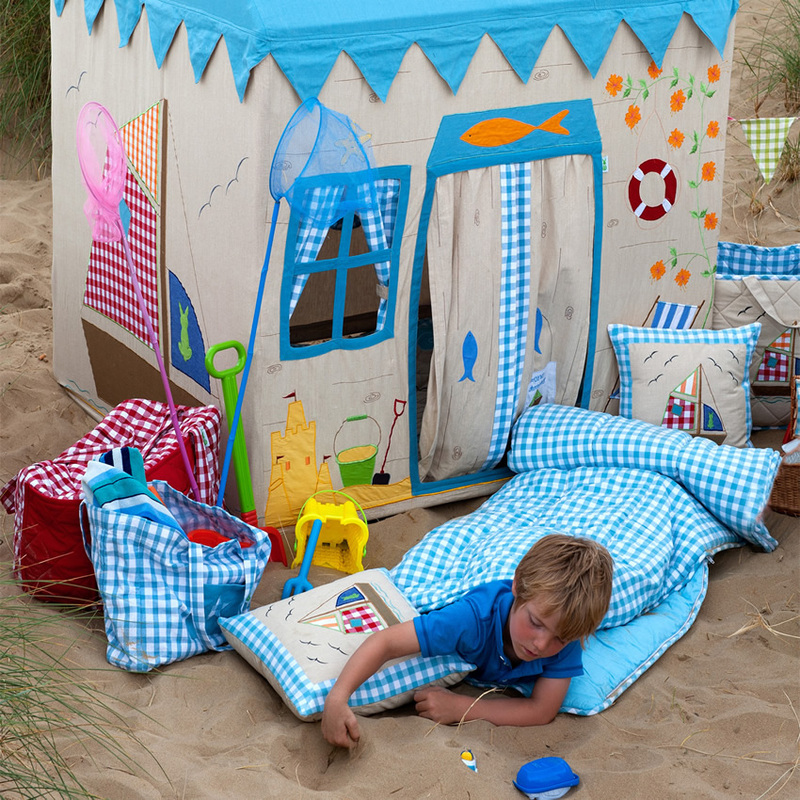 They can use it for playing board games, or as a clubhouse. 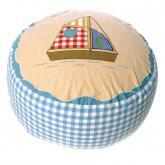 It will truly inspire them to use their imaginations to find all kinds of fun. This Beach House Play Tent has a light aluminum frame, is easy to set up, and comes complete with a handy storage bag. 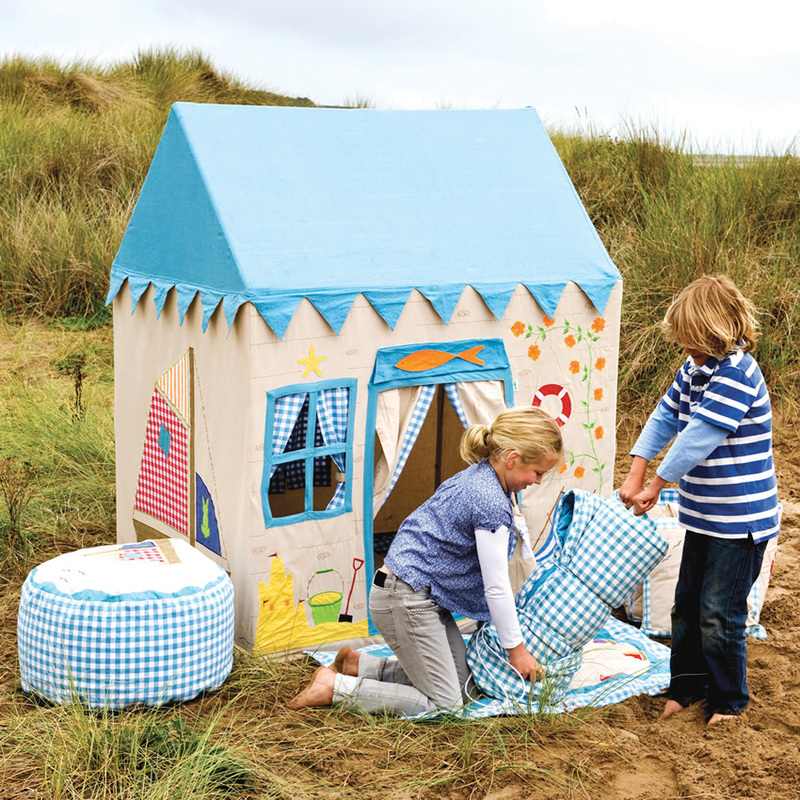 This fabric playhouse can be used indoors year-round or outside on nice days. 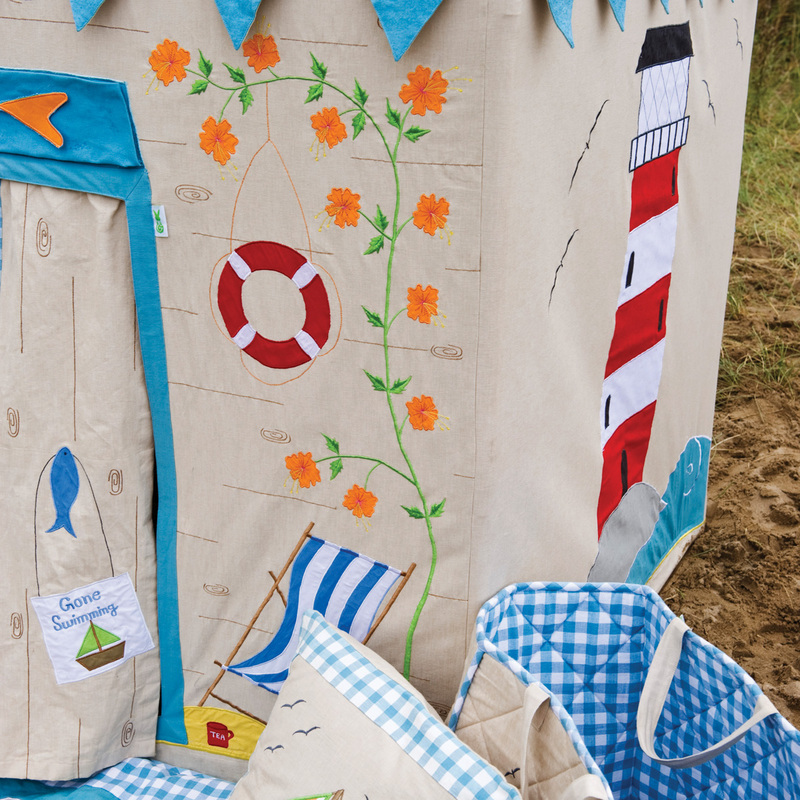 Available in both a large and small option, this ocean-themed play tent is sure to fit any child's bedroom or playroom. 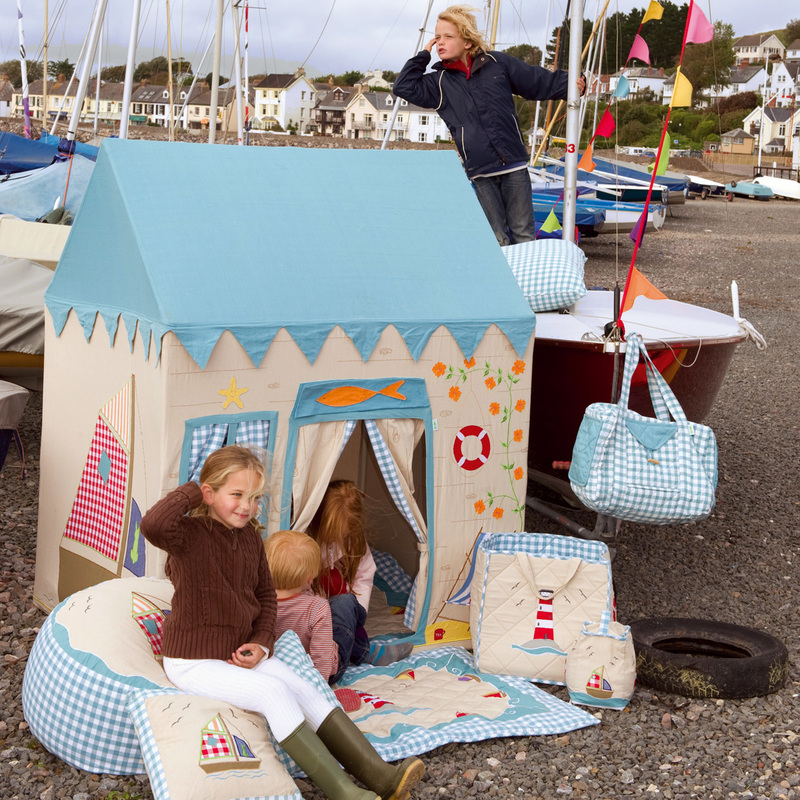 The Beach House Play Tent is available with a variety of adorable accessories to make lounging around and toy storage fashionable.